Self-cleaning overhead suspension magnets reliably extract even coarse iron. The fields of application for overhead suspension magnets extend from the generation of clean iron products to machine protection. 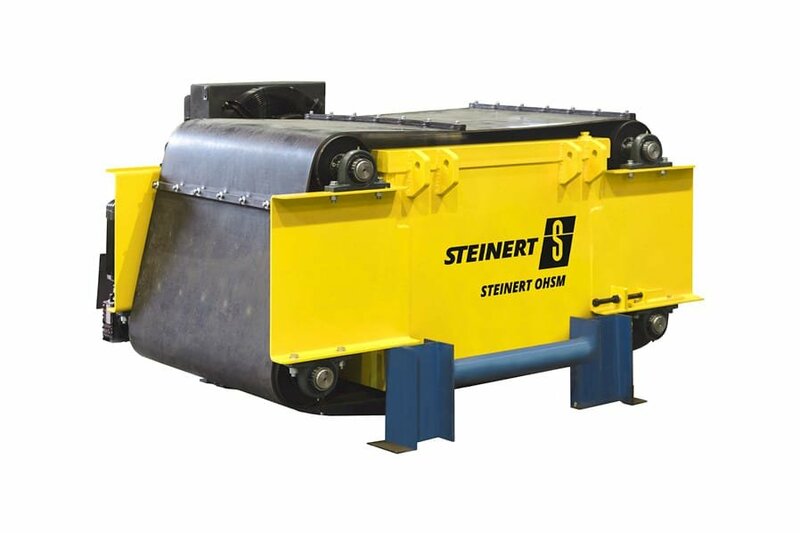 STEINERT overhead suspension magnets have been recovering iron and ferrous components from bulk material for many decades. They not only generate clean iron scrap for recycling but also protect crushers, mills and other mining processing equipment against wear and destruction. 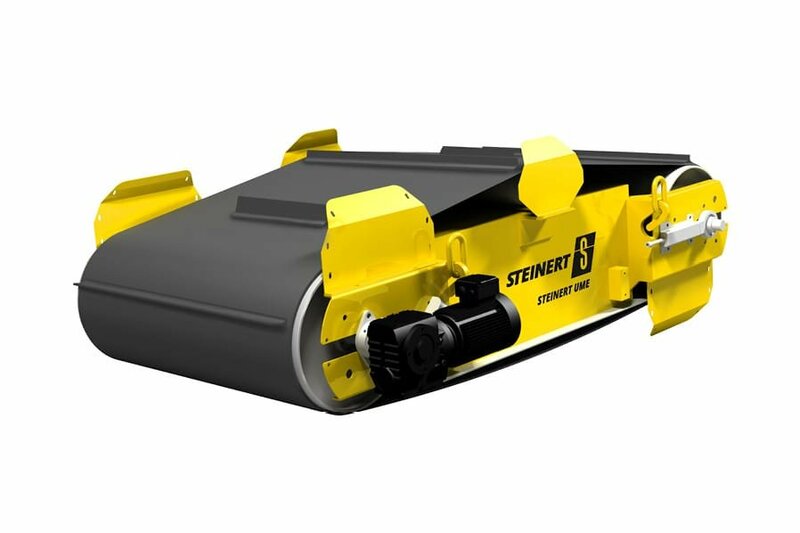 They therefore remove unwanted ferrous parts such as screws, nuts and rock bolts from coal, coke, ore and other minerals – and they do this at very high belt speeds, over large working distances up to 1 m and during aggregate material transport. The operating principle is based on a deep-reaching magnetic field using either permanent magnets or electromagnetic coils. An overhead suspension magnet is arranged above a feeding conveyor belt and extracts the ferromagnetic materials from the supply flow against the force of gravity. 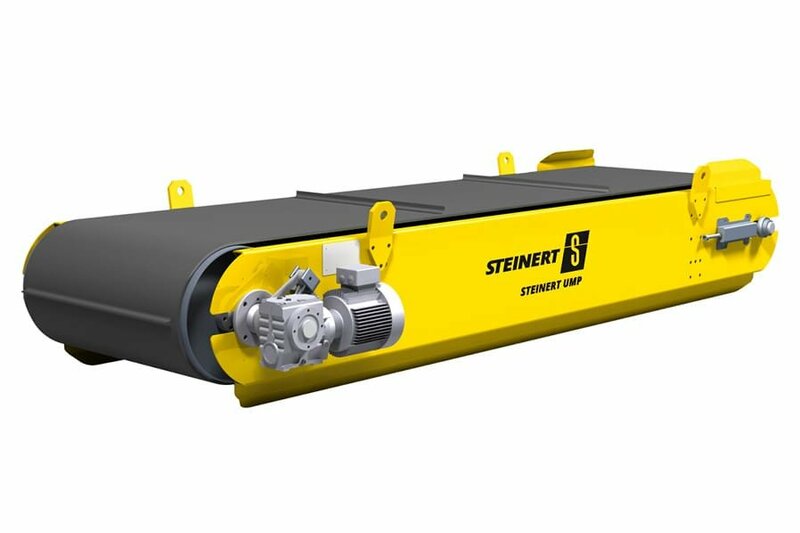 Self-cleaning magnetic separators have a circulating conveyor belt equipped with projections which removes the ferrous parts attracted by the magnets and allows them to fall into a separate container. Overhead suspension magnets can be arranged either laterally above or even along the supply flow. Longitudinal arrangement above the container in the supply direction is advisable for the best separating result, since here the material is loosened and available in free flow. An overhead suspension magnet positioned laterally to the supply flow requires a larger magnetic force to achieve the same sorting result due to the greater distance and the material's rest position. In this respect, the advantage of this arrangement is its lower space requirement. Overhead suspension magnets with a manual removal device can be used where there is a low mass proportion of coarse ferrous parts. Self-cleaning overhead suspension magnets in contrast ensure efficient processes where there is an increased iron proportion in the supply flow. Overhead and manual overhead suspension magnets are available according to size, application area and ambient conditions as a dry installation with active or passive air cooling or with active or passive oil cooling.